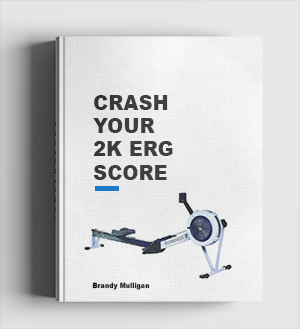 Do you have an erg workout recovery strategy? Are you confident your current recovery strategy is giving you the best type of recovery from a hard rowing session? 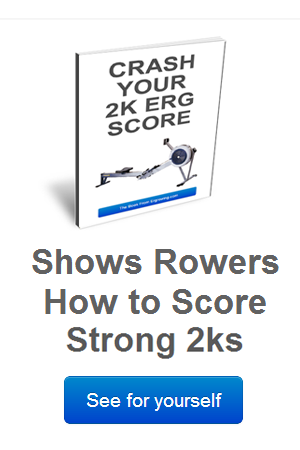 Read on to see if you are getting the most out of your erg sessions by boosting your recovery. You absolutely positively need to warm down after each erg workout. This is especially true for intense sessions. But it’s also true for easier sessions. The harder the session is, the more time you need to spend warming down. There is a big difference between warming down and cooling down. Cooling down is merely lowering your body temperature back to normal levels so that you stop sweating. Warming down involves a bit more. A proper warm down involves active movement on the erg or another exercise such as stationary bike or jogging. Exercising at a low intensity will help you to clear up your system from any lactic acid and unwanted by-products from training that will impede your recovery. I usually like to jog because I find that it releases me from the pressure of the erg and allows me to start warming down mentally. And warming down doing a different exercise speeds warm down and cleanup process. Have you ever felt tight buttocks and hamstrings after erging? Ever felt tight arms or shoulders? Even a tight back? Well it takes time for your body to release and heal temporary tightness. Boost your recovery time by giving your body a leg up on the road to recovery. Do some static stretching or consider a massage. A hot bath will certainly help or if you have access to a jacuzzi try it out. 3. Eat within the golden window. All the experts agree that the best time to boost recovery by refuelling with HI – GI carbohydrates is within 20 minutes of the workout. In other words this is the 20 minute golden window. When I say immediately – I mean immediately – even before you hit the shower! Once you begin your cool down, begin your refuelling. This requires a little extra organisation on your part before the workout. Bring along a HI-GI snack which you can start eating right after your workout. I usually have a sports energy bar or a banana right beside my water bottle. Think easy access when you are tired. The 20 minute window is important because your body is in an elevated state of absorption during this time where it can guzzle any carbs you feed it. After the 20minute window the absorption slows down -a bit like trying to refil the gas tank of a car with a straw rather than a fire hose! 4. Eat a meal rich in carbohydrates within 2 hours of working-out. Snacking within the golden window won’t really cut it if you have spent an hour doing hard intervals on the erg. In a hard session you might have burned over 1000 calories -a high proportion from glycogen. So you need to eat a proper meal with a lot of LOW-GI carbohydrates within 2 hours of working out. You should ALSO include protein in the meal to help your body the heeling process. Eating within 2 hours is important because the body is it’s most receptive for refuelling during this period – it’s crying out to be refuelled – so feed it. Lots of studies show that the absorption rate declines significantly after this 2 hour period. If you plan on having a day or a couple of days rest after an erg workout it might be a good idea to consider doing some active recovery to help boost your healing. Basically this means you should do some very light exercise on a recovery day to expedite your recovery. Anything from taking a walk to a light jog to a swim or whatever can really help your body clear out any residual debris from the previous days’ workout. If I can I love going for a nice easy swim because it helps me do some light exercise while at the same time relaxing my muscles in the water. On the days I can’t swim I just go for a nice brisk walk and enjoy the outdoors. Learning to switch off after an erg workout is another magical tool to boost rapid recovery. While it’s fine to think about and digest the workout you just had and think about your general position -it’s a whole other thing to not leave it behind. Don’t obsess about it – especially if things are not going well. We all need different amounts of sleep – depending on lots of factors. But the one sure thing with Erging hard day-in-day-out, is that sleep is the most important recovery tool of all. When you sleep, magical things happen. Thousands of processes occur in your body that help recovery from many things involved in day to day life – including exercise. Top rowers know the importance of sleep and use it to their advantage. Many rowers sleep the regular 8 hours per night but they also have cat naps during the day. Rowing at the top level requires 2 or more workouts per day and they often use the gap between sessions to catch a 30 minute cat nap. Napping boosts recovery by helping the body produce natural growth hormone which is essential for muscle repair.